StoryFutures offers advanced production facilities help SME's with their R&D. Capable of creating live and recorded full body human capture using Xsens Motion Capture suits , Manus VR gloves and a bespoke facial capture solution. It also features photogrammety and volumetirc capture tools for creating static assets as well as depth enabled green screen. In this experiential space we reproduce a living room setting in order to observe how immersive entertainment is used in the home. Equipped with a range of popular consumer electronic enteratinment products such as PSVR and Nintendo Labo VR kit. This lab has been specially designed for XR development. 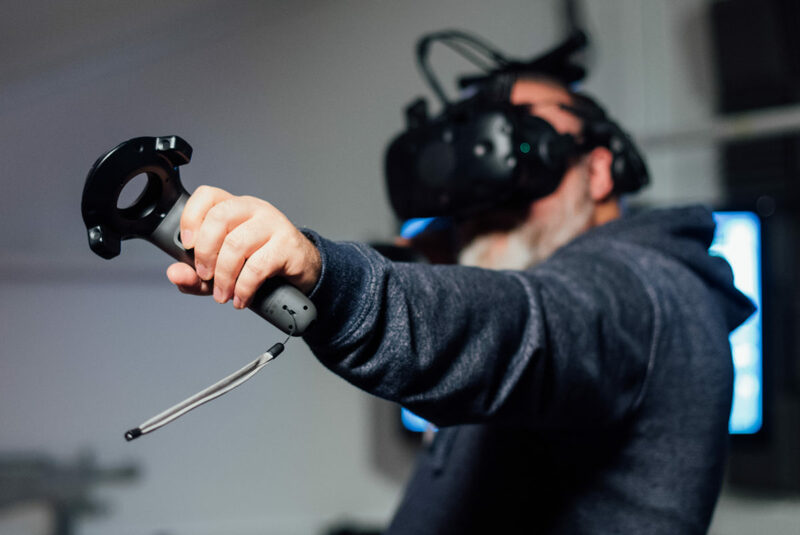 15 optimised workstations each equipped with top of the range CPUs, GPUs and VR HMD allow for training in all parts of the XR workflow. A state of the art audio listening space created for research into the creation and deployment of ambisonic recording. The customisable speaker array allows for flexibility and the creation of a variety of immersive sound set ups. To start using our production facilities fill out our short expression of interest form.